100% cotton - Slim Fit. Our Nike Brasil Women's Crest Tank Top 2016 features embroidered team crest on the left, and Nike Swoosh on the right. 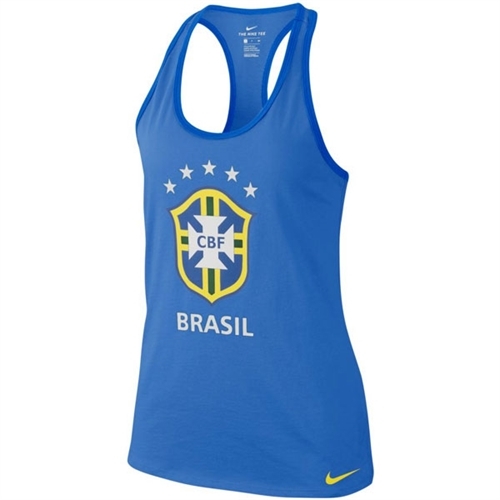 Pay tribute to the Canarinha with the new Women's Nike Brasil Crest Tank Top!